Dad takes video as the dog runs towards the baby. But what happens next? I can’t look away! She Begged To Take A Photo With Orangutans. Now Pay Attention To What It Does With Its Hands. LOL! The organization Choir!Choir!Choir!, hosts weekly singing events where anyone, and everyone, who loves music can join in. Pop singers like Teagan and Sara have led these choirs before. But this time C!C!C! managed to gather 1,500 strangers together in an abandoned Toronto power plant. 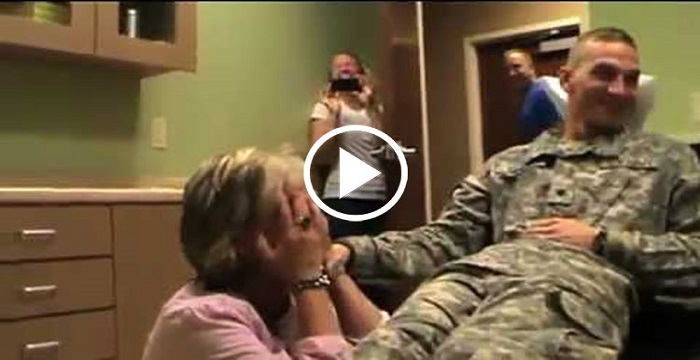 Watch The Army Video That Has 114 Million Views On Facebook. You’re Gonna Need A Hug After This. Those who have a loved one serving in the armed forces know exactly what it feels like to be missing part of their heart. So when soldiers come home after who knows how long, it’s guaranteed to be emotional. In the best way ever.